Dr. Lois Berg Stack, Professor Emerita, Sustainable Agriculture, University of Maine, will give a presentation at the Bar Harbor Garden Club’s monthly meeting on Thursday, March 14, at 1:00 p.m. at the Birch Bay Village Inn. 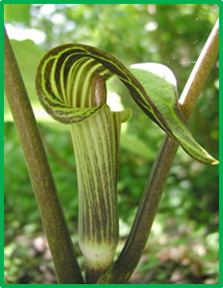 Dr. Stack’s talk will cover native plants. Maine’s native plants are a major part of what we all love about our state. We have long planted some of them, like white pine, red oak, viburnums and winterberry, but there are hundreds of other native plants that could provide beauty and function in our landscapes. This presentation will cover some choice native plants, how they can contribute to your landscape, and where to find reliable information about them. Dr. Stack served as University of Maine Cooperative Extension’s ornamental horticulture specialist for 30 years. During this time, she conducted research, held classes and workshops for landscape professionals and home gardeners, trained students, and developed publications on many plant-related topics. Snow Cancellation Policy: When school is closed, there will NOT be a meeting. This meeting is open to the public, but non-members are asked to reserve a seat at rsvp@barharborgardenclub.org or call 460-8496.